Governor Phil Bryant has announced that Donald Trump Jr. will make an appearance at the Neshoba County Fair on Tuesday, July 26. Rumors had circulated that Donald Trump himself would make an appearance, but the fair council released a statement that The Donald would not make an appearance for the festivities, which start just one day after the National Republican Convention concludes. Several high-profile Mississippi lawmakers won't seek re-election in 2007 or will run for statewide offices, giving newcomers a shot at House and Senate posts that incumbents have held for years. Mississippians will elect a long list of officials this year, from a governor to lawmakers to sheriffs, district attorneys and county supervisors. The filing deadline for all candidates is March 1. Party primaries are Aug. 7 and the general election is Nov. 6. Sen. Travis Little, R-Corinth, who has served as Senate president pro tempore since 2000, says he will not be running for re-election. He has been serving in the Senate since 1992. Rep. Jim Barnett, an 80-year-old Republican from Brookhaven, has announced that he will not seek another term. Sen. Billy Thames, 62, also is bowing out. Rep. Lee Jarrell Davis, R-Hattiesburg, has said he won't run for another term in the House, but might seek a seat on the Forest County Board of Supervisors. Rep. Robert Vince, 70, D-Sandy Hook, says he's not running again either. Rep. Dirk Dedeaux, D-Perkinston, has been named chairman of the Medicaid Committee. House Speaker Billy McCoy promoted the Coast lawmaker on Jan. 19 to the leadership position that had been held by Rep. Leonard Morris, D-Batesville, who died Jan. 12. Previously, Dedeaux served as vice chairman of the Medicaid Committee. McCoy named Omeria Scott, D-Laurel, as the new vice chairwoman. Dedeaux has been in the House since 1996. His district includes parts of Forrest, Hancock, Harrison, Lamar, Pearl River and Stone counties. Scott has been in the House since 1993. Her district includes parts of Jones, Jasper and Clarke counties. State Rep. Leonard Morris, who died Jan. 12 of complications from kidney surgery, will be buried on Jan. 16. Visitation will be held at Concord Baptist Church in Batesville from 1 p.m. to 6 p.m. tonight (Jan. 15), with a memorial service at the church set for 6 p.m. Morris' funeral is scheduled for 2:30 p.m. on Jan. 16 at Batesville Junior High. 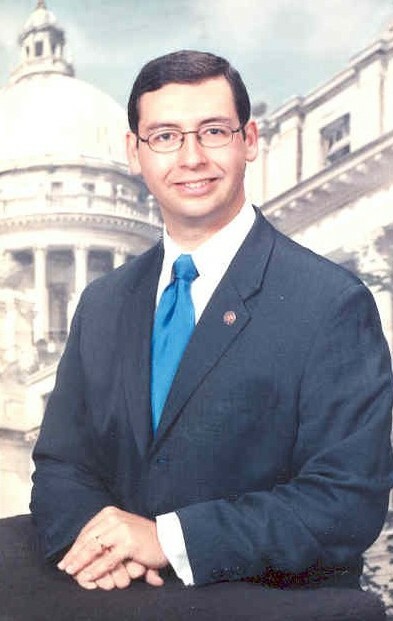 Morris, a Batesville Democrat, died at the University of Mississippi Medical Center in Jackson. Morris had a tumor removed from a kidney last week. He was 59. "Leonard Morris was a gentleman in the truest sense of the word. His death leaves a very large void in the Mississippi House of Representatives and the entire Legislature," House Speaker Billy McCoy said in a statement on Jan. 12. Julie Goodman, in The Clarion-Ledger, wrote an in-depth story about Morris and his achievements in the legislature. The 14-member Legislative Budget Committee, which consists of Speaker Billy McCoy, D-Rienzi, Lt.Gov. Amy Tuck and other key House and Senate members, began the process of hearing from agency heads this afternoon. In the past, the budget hearings have gone on for a better part of a month. This year the hearings have been shortened to less than two weeks. After the hearings are completed, the committee will meet with the governor and adopt a revenue estimate of the amount of money expected to be collected during the upcoming fiscal year, which begins July 1. Barbour and the Budget Committee will then submit separate budget recommendations. There has been a strong uptick in revenue collections, caused in large part, experts say, because of the Katrina recovery effort. Still, Barbour said for the Budget Committee "the most important thing we need to be conservative in our spending." Michael Bailey will be attending the meetings on behalf of the Mississippi Hospital Association. For more information or an update, contact Michael at (800) 289-8884, (601) 368-3208 or mbailey@mhanet.org. Votes taken in the Mississippi Senate will soon be available online. Under the policy, approved recently by the Senate Rules Committee, votes on final passage of bills and motions will be available as a link to the "bill status" portion of the Mississippi Legislature's Web site. The information will be available on the Web site on the day following the vote, Senate officials said April 28. The votes will be posted beginning in January. Mississippians wanting to keep tabs on their leaders and peruse historical tidbits can get their fill with the new 2004-2008 Mississippi Official and Statistical Register (also known as the Blue Book) now available from the Secretary of State's Office. The book is a compilation of elected and appointed officials in the state, county and municipal government. This year's theme is Mississippi History. The volume contains essays by former Gov. William Winter, former Lt. Gov. Evelyn Gandy, former Speaker Pro Tem Robert Clark and historian David Sansing. About 25,000 books are available free of charge at the Secretary of State's office building at 700 North Street. The hours of the office are 8 a.m. till 5 p.m. It is also available online in its entirety here. The Mississippi Legislative Conservative Coalition of the Mississippi House of Representatives has scheduled a series of meetings across the state to discuss issues. The first session will be Monday, Oct. 10, and begin at 6:30 p.m. on the Pearl campus of Hinds Community College. Oct. 11 - Meridian Community College, Webb Hall, Dulaney Room, 6 p.m.
Oct. 13 - University of Southern Mississippi, Gonzales Hall, 6 p.m.
Oct. 17 -- Mississippi Gulf Coast Community College, Jefferson Davis Campus, 6 p.m.
Oct. 18 - Advanced Education Center, 6:30 p.m.
For more information visit www.msconservative.org. Sheera Hillman Lane and Fred Stanley will meet in an Oct. 11 runoff to replace Rep. Joe Taylor in the Mississippi House. Lane and Stanley, both of Waynesboro, led a six-candidate field in the Sept. 27 Special Election in House District 86, which covers much of Wayne County and part of Clarke and Perry counties. Taylor, D-Waynesboro, resigned earlier this year after being elected mayor of his hometown. Lane received 1,061 votes, or 33.6 percent, followed by Stanley with 645 votes, or 20.4 percent, according to complete but unofficial returns. Attached below is the 2005 MHA Legislative Report. If you have any questions, please contact Amy Arrington, MHA vice president of government relations, at (800) 289-8884, (601) 368-3215 or aarrington@mhanet.org.